Erika is using Smore newsletters to spread the word online. The Office of Early Learning’s K-3 Team will host the second part of a three part webinar series on the formative assessment process. 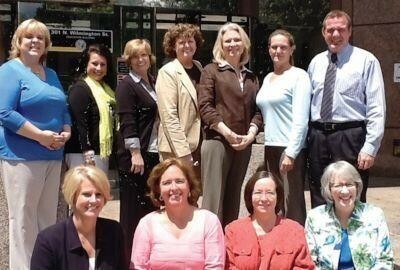 Join us as we share information about the formative assessment process in a K-3 classroom. There are multiple strategies and techniques to elicit evidences of student learning that fit seamlessly in the flow of a K-3 Classroom. 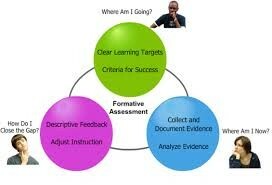 We would like to share how the K-3 Formative Assessment Process can assist educators in their use of this process to teach in the moment and ensure that students are advancing toward established learning goals. 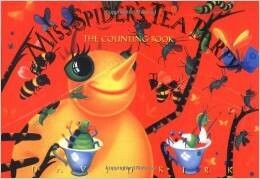 After reading aloud Miss Spider's Tea Party: The Counting Book by David Kirk, use the following activity in a math center and observe students counting objects. Explain to students that Miss Spider couldn't understand why insects wouldn't come over for a tea party so now she is inviting spiders as her guests since they like to "hang out" in a web. Each student in the center begins with 10 spider rings and a "web" mat (picture of a web on card stock). The teacher rolls a die with written numbers on each side (not dots) and then says, "Six" (while showing the number to the students). Show me that 6 spiders are "hanging out" in the web. Put six spiders on web mat." The students count 6 spiders and place the spiders on the web mat. The teacher may then ask a student to count the spiders on their web mat or count another student's spiders to see if their peer has the correct amount. Allowing students to count each other's spiders allows students to give feedback to each other and problem solve together if the quantity is not correct. • Telling the students that 2 more spiders have been invited to the tea party then asking, "Now how many spiders are on the web?" Quick kindergarten class teaching tip. The Tootie-Ta listening game allows teachers to promote listening skills in young students, as well as test their abilities to follow multiple directions. Please continue to ask questions and share celebrations on your LEA's Google Doc!